I have always considered myself an artistic person and have been involved in art in one way or another for as long as I can remember. 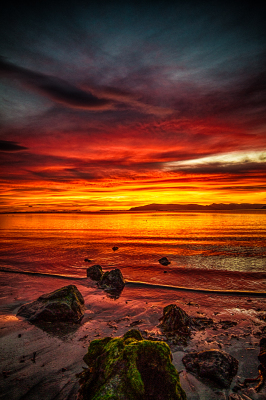 Photography is an exciting form of expression for me and I love capturing everyday moments with a moody feel to them. 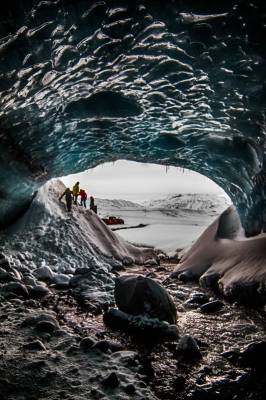 Winter in Iceland is truly magical. 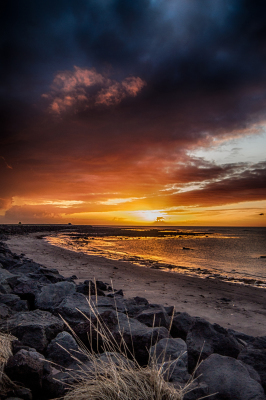 During the winter months you can experience a variety of weather and moody scenery that ranges from cloudy storms to soft, golden lighting. 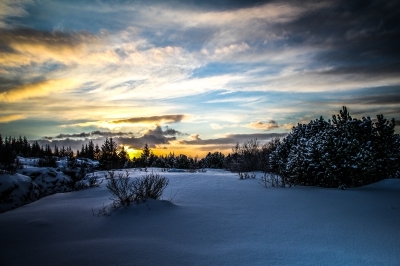 With ice and snow lending its presence to the atmosphere, stepping outside is often like stepping into a fairytale painting. 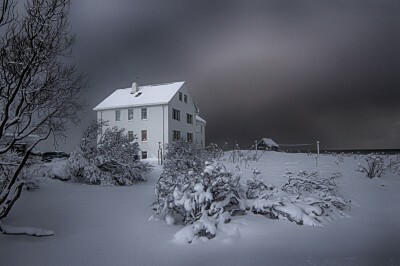 Lonely house at Aegissida in Reykjavik. 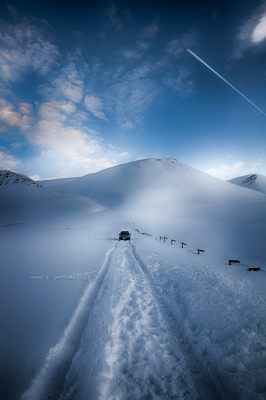 Stuck on a snowy mountain in Iceland. 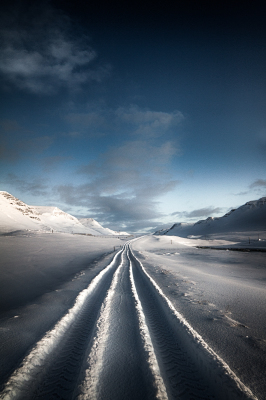 Snowy pathway in Unadalur in the northwestern part of Iceland. 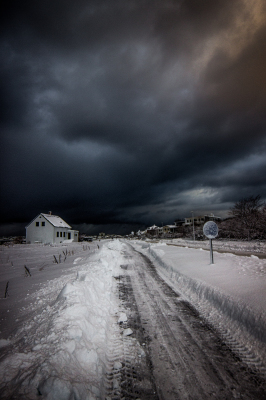 Snowy storm in Ægissíða street in Reykjavik. 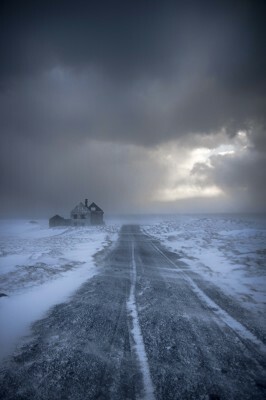 Stormy pathway to the abandoned house in Snaefellsnes. 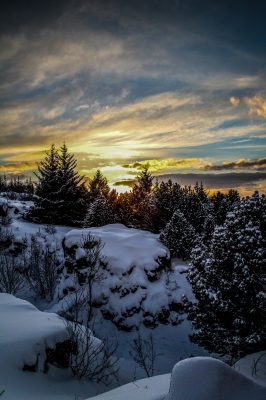 Winter forest at Öskjuhlíð in Reykjavik. 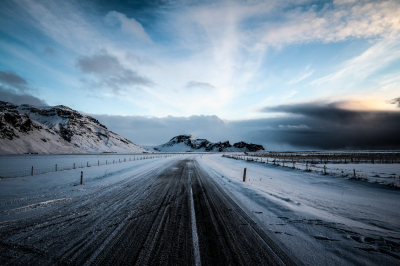 Winter land close to Þórsmörk in the Icelandic highlands. 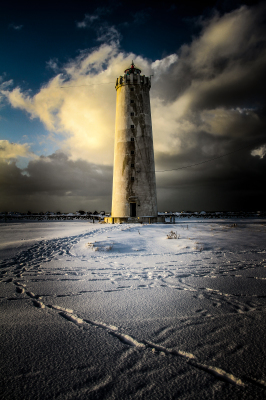 Footprints to Grótta lighthouse in the Reykjavik capital area. 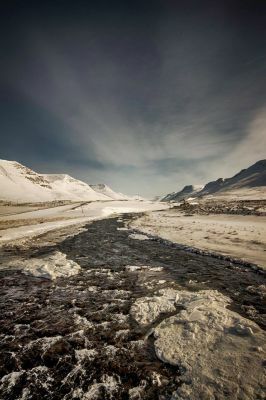 Unadalur valley in snowy mood. 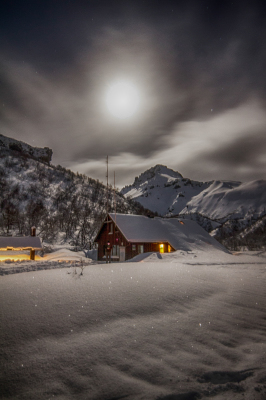 The moon hovering over an cottage in Þórsmörk. Woman on a horse in Unadalur in the northwestern part of Iceland. 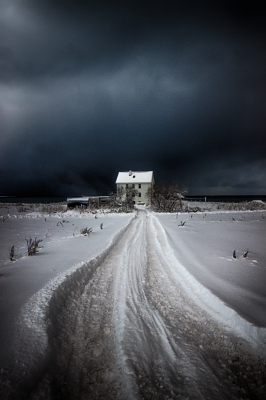 Winter house in Aegissida seashore in Reykjavik. Fireworks from last year new years celebration. 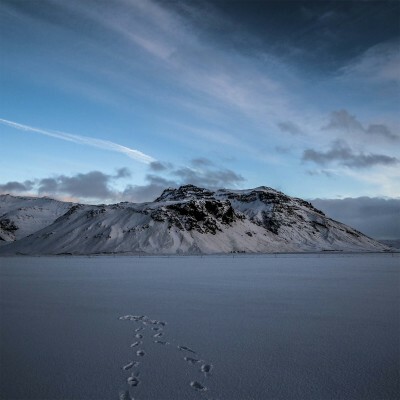 View towards the mountain on the south coast of Iceland. 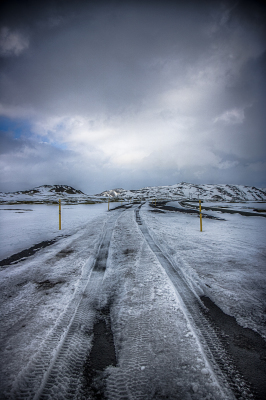 Winter road at Hellisheiði during the month of March. 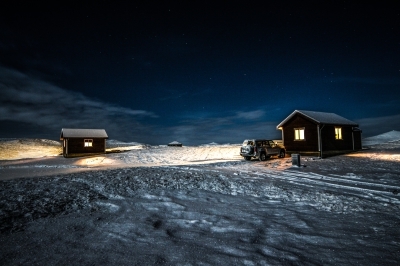 Winter cottages at Landbrot in the southern part of Iceland. 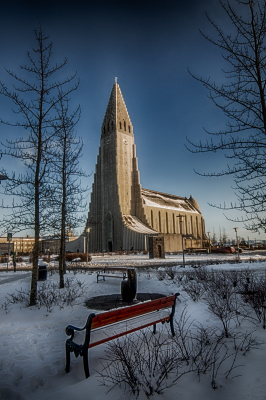 Hallgrímskirkja church during the winter in Reykjavík. 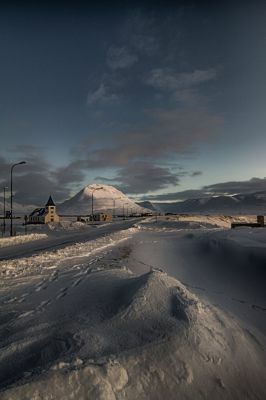 View towards the church in the village of Hofsós. 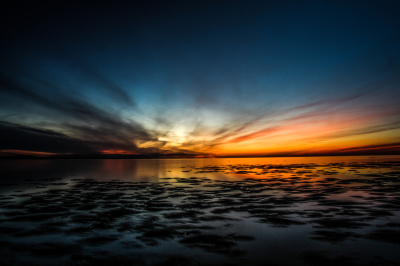 Sunset photography captures the quiet moments of peace when the world is settling down to sleep; quiet, vast, and always beautiful. 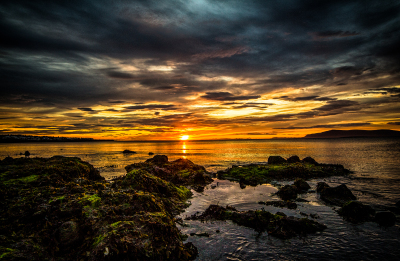 Every sunset in Iceland offers its own beauty and each experience is different and unique. 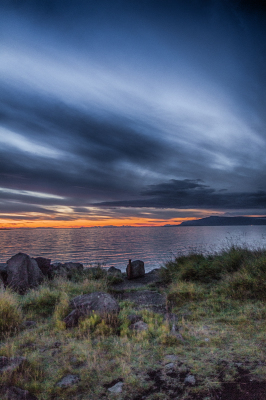 Watching an Icelandic sunset is like viewing a painting in motion. 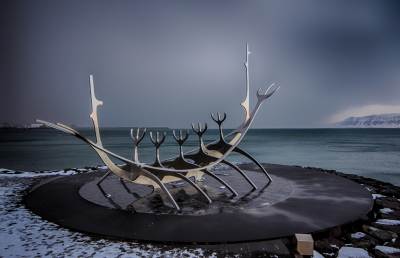 Dark sunset in Skagafjörður in the northwestern part of Iceland. 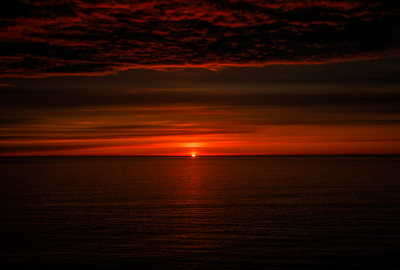 Midnight sun at Grandabót in Reykjavík. 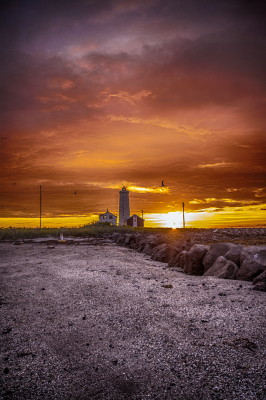 Yellow sunset at Grandabót seashore in Reykjavik. 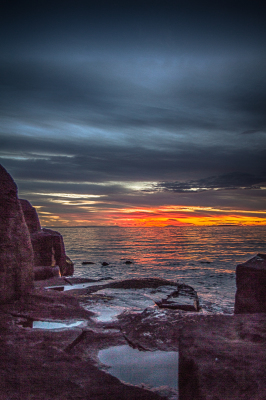 Rocks and sunset at Grandabót seashore. 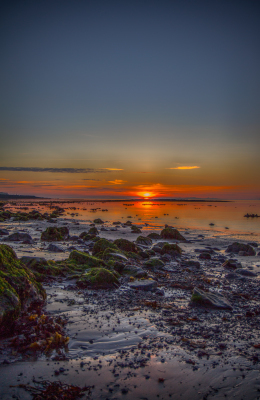 Summer sunset at Aegissida seashore in Reykjavík. 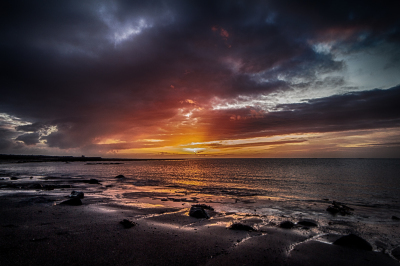 Sunset over the sea outside Reykjavík. 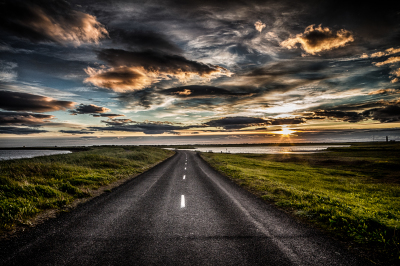 Sunset road in Seltjarnarnes, an Icelandic township located within the Capital Region. Snow and suner at Aegissida seashore. 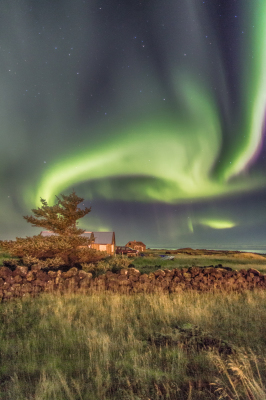 Northern lights hovering over Grótta lighthouse. 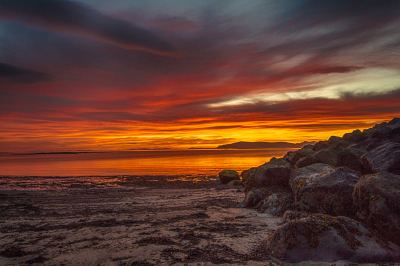 The rocks and sunset at Grandabót seashore in Reykjavik. 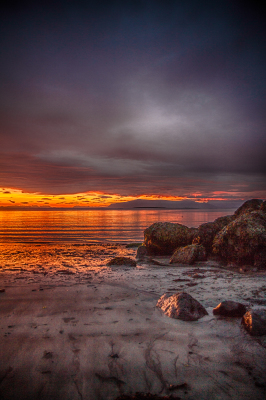 Rocks and the midnight sun at Grandabót in Reykjavik. 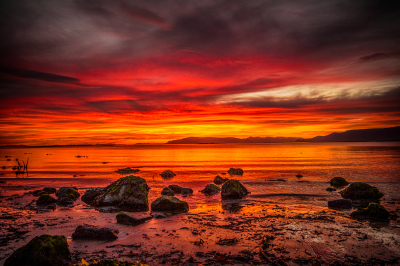 Volcanic sunset mist from Holuhraun. 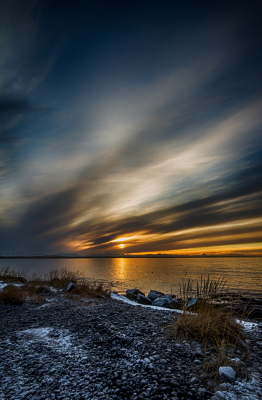 Dark sunset in Skagafjörður, located in the northwestern part of Iceland. 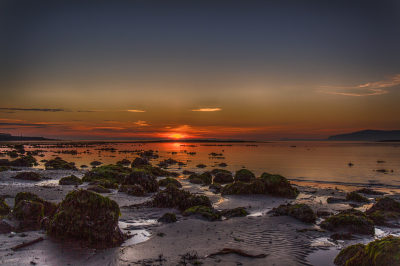 Sunset over the seashore in Seltjarnarnes. 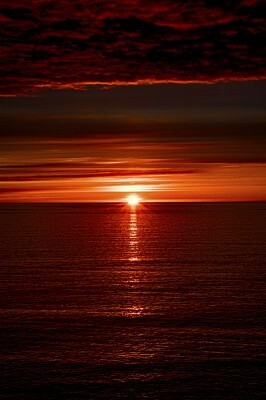 Sunset over the ocean in Seltjarnarnes. The northern lights convey a sense of being at the very edge of the world and getting a rare glimpse into the endless universe we are all just a tiny part of. The lights are like a celestial ballet of light dancing across the night sky. 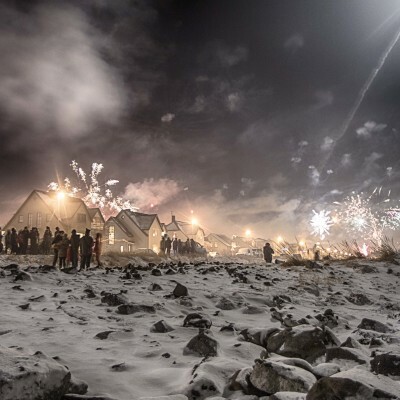 This carnival of lights creates emotions that are hard to explain and impossible not to feel. It is my desire for my photography to express the intimacy and beauty of this heavenly dance. 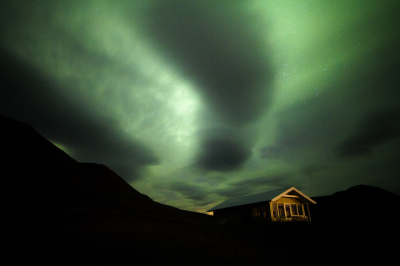 Northern lights hovering over my parents cottage in Skagafjordur. 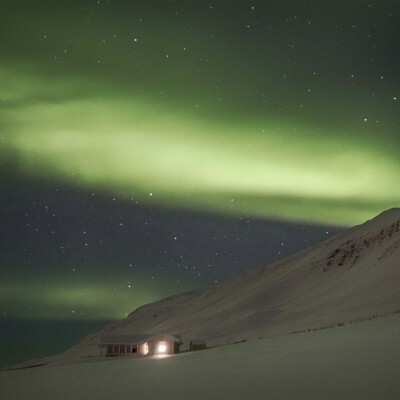 Northern lights over a mountain and a cottage. 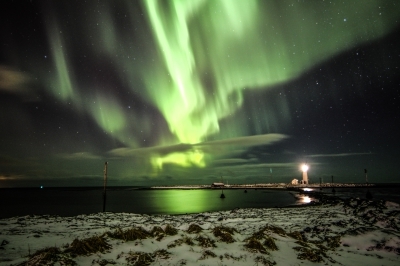 Winter northern lights hovering over the Grótta lighthouse. 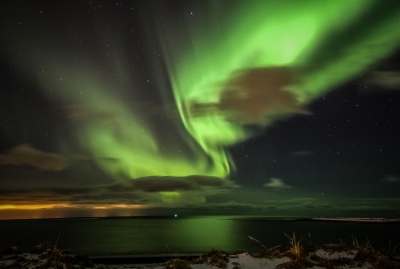 Northern lights hovering over the sea in Seltjarnarnes. 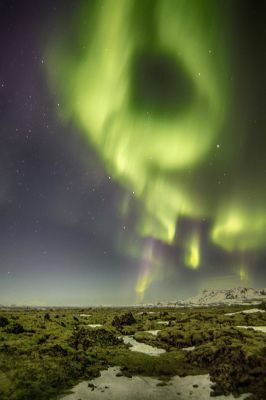 Northern lights close to Straumsvík. 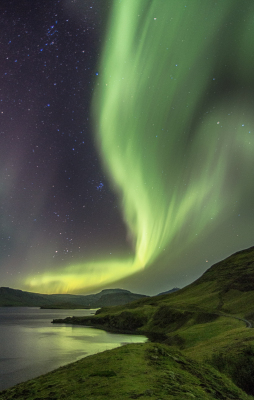 Northern lights hovering over Hvalfjörður bay. 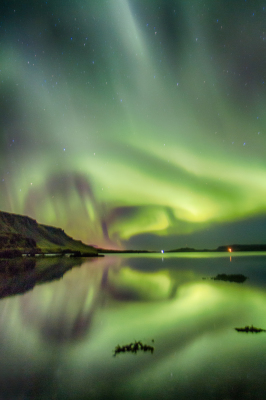 Northern lights reflected on Hvalfjörður bay. 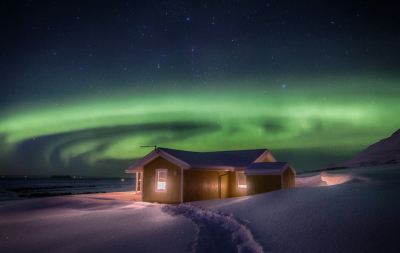 Northern light over a cottage in Borgarfjörður. 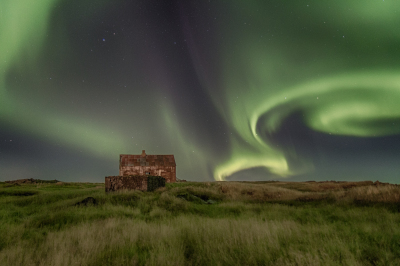 Northern lights and abandoned house in Straumsvík. 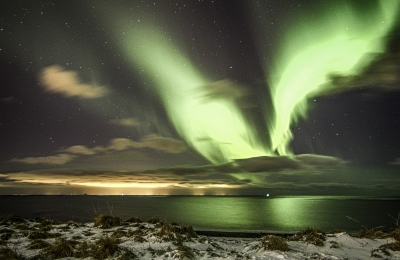 Northern lights breaking through the clouds close to Straumsvík. 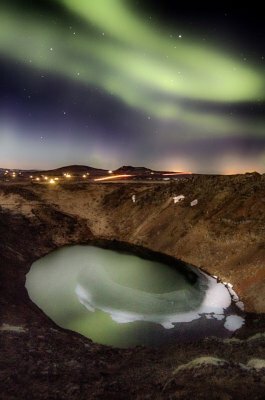 Northern lights hovering over the Kerið volcanic crater. 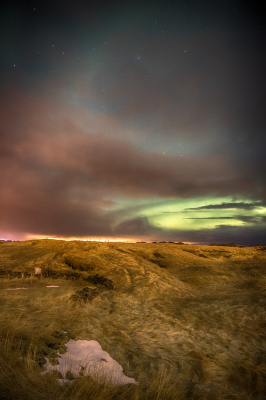 Northern lights over hellisheiði moorland. 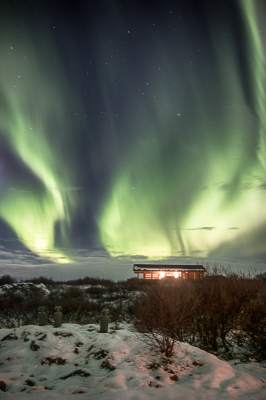 Dark northern lights hovering over the yellow cottage in Skagafjörður. 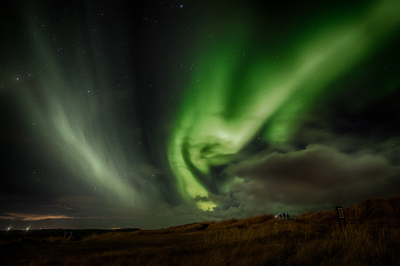 Northern lights hovering over the seashore in Seltjarnarnes. 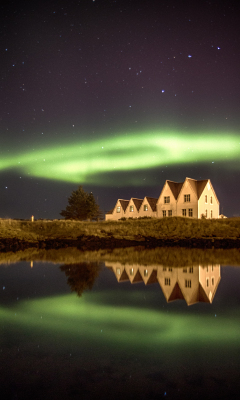 Green northern lights in Seltjarnarnes, an Icelandic township located within the Capital Region. 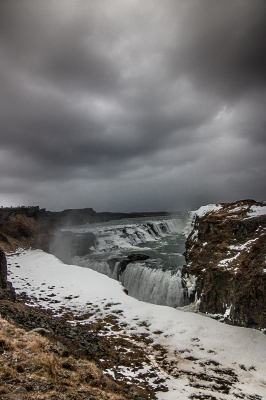 The Icelandic landscape is shaped by the forces of nature. 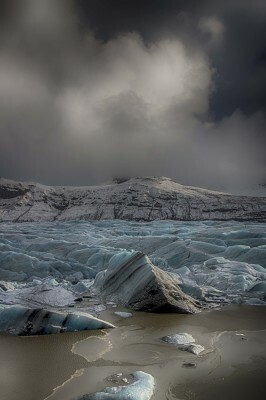 Iceland is one of those places that when you look out over the landscape your mouth drops open in awe. 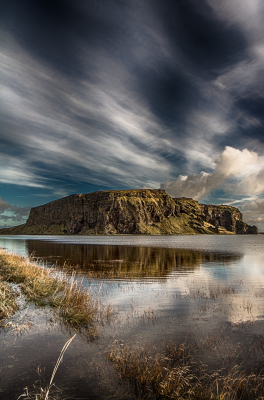 It is challenging to capture the beauty of a land that enjoys ever-changing weather conditions. 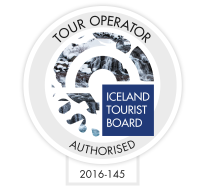 I strive to bring out the emotion and feeling of being alone in Iceland´s nature while also capturing the beauty of each moment this rugged and wild country has to offer. 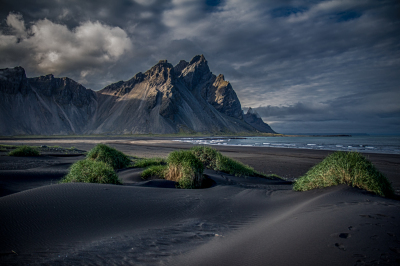 View towards mount Vestrahorn in the southeastern part of Iceland. 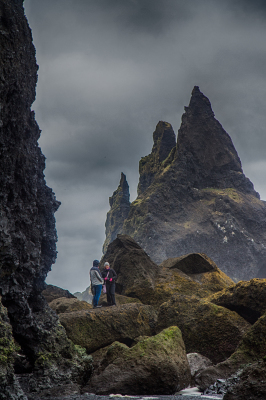 People standing on rocks close the Reynisdrangar cliffs. 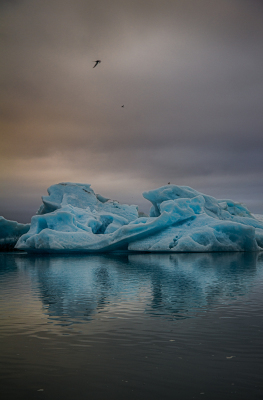 Ice rocks at Jokulsarslon glacier lagoon. 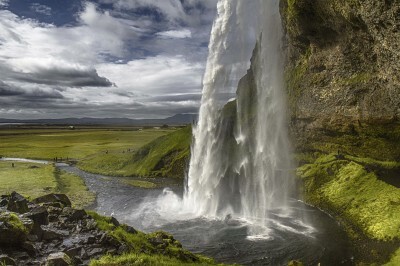 View towards Seljalandsfoss waterfall in the south coast of Iceland. 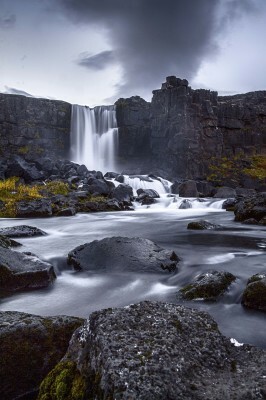 Öxarárfoss waterfall located inside Þingvellir national park. 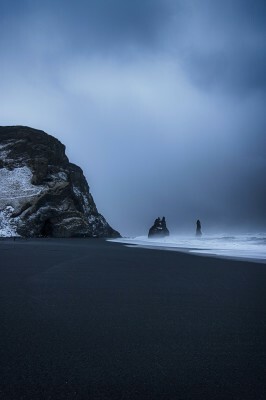 Later afternoon view at Reynisfjara black beach. 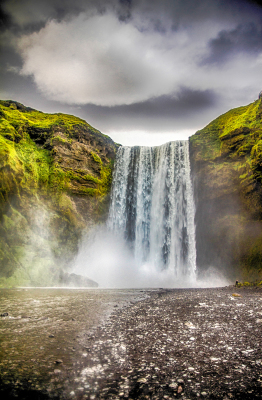 Summer view towards Skógafoss waterfall in Iceland. 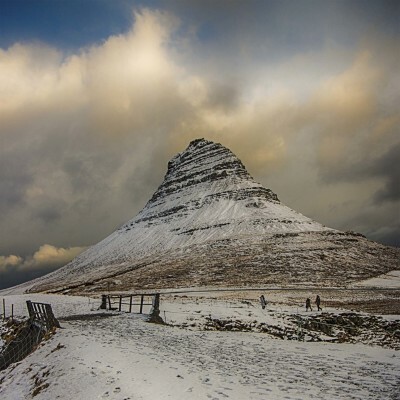 Winter view towards mount Kirkjufell in Iceland. 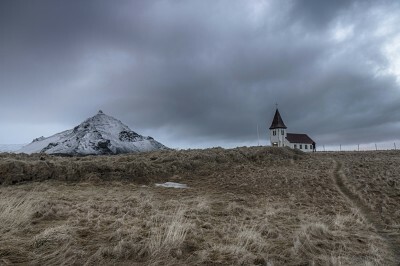 Church and a mountain at Hellnar in Snaefellsnes peninsula. 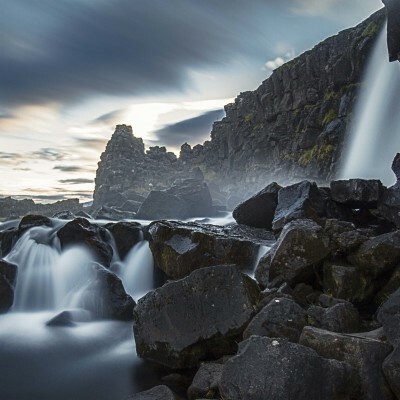 Oxararfoss long exposure shot in Thingvellir national park. 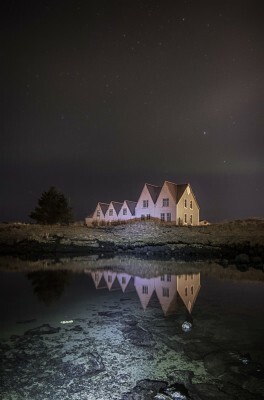 Light flashing at Straumur art center at Straumsvík. 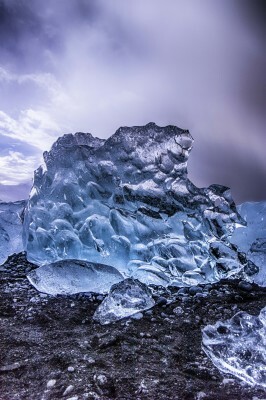 Svínafellsjökull glacier rift on the south coast of Iceland. 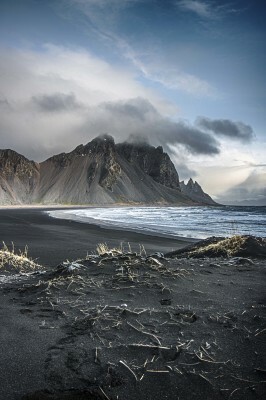 View towards Dyrhólaey peninsula on the south coast of Iceland. 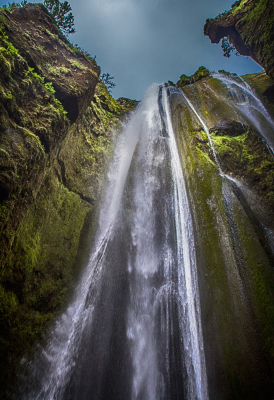 Inside Gljúfrabúi waterfall on the south coast of Iceland. 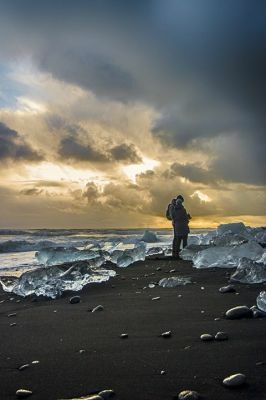 Ice rocks on the diamond beach located in the southern part of Iceland. 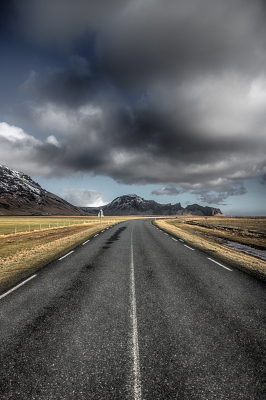 Road shot taken from the south coast of Iceland. 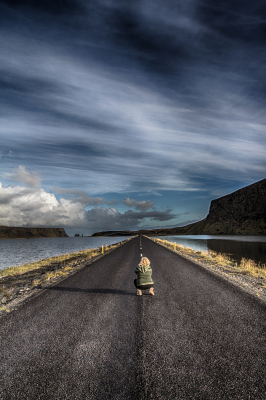 Woman sitting on the road towards Dyrhólaey. 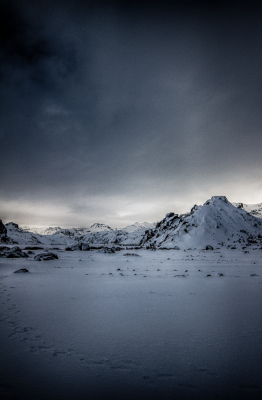 View towards the mighty mount Vestrahorn.